Bed & Bone Too cannot thank our customers enough. Here are what some of our fabulous friends have to say about our service. Bed and Bones is like family. When we pick up Max, he is exhausted from playing so hard. The next day he sits at the window waiting for more action. Madree the owner always remembers the dogs by name. I never feel anxious about leaving the dog at her kennel. The dogs get their vacation playing in the open play area. They even tell me who my dogs latest girlfriend is in the play area. I would recommend them!! Rikki was recovering from a medical condition before she came to Bed and Bone. We totally trusted the staff there to take care of her should she need extra attention. Rikki came home so happy after hanging out with old friends and meeting new friends that it was amazing. We so love Bed and Bone and so does Rikki. Thanks for the great care!! Our minds are put at ease when we leave on vacation knowing that our girls (a.k.a. babies) are extremely well cared for! We don't have children, but to us our dogs are kids and it is hard saying good-bye when we drop them off for a visit. However, they seem so at ease and love visiting their doggie hotel! This makes us feel confident they are in very capable and loving hands! I am so thankful someone recommend this place to us so we can really relax and enjoy our time away. The facilities are fantastic and they are treated like Royalty (just like at home). To Madree and the entire staff at Bed-n-Bone Too ---- A HUGE THANK YOU!!!!!! I never worry about Rikki being safe or being lonely while I'm gone. I know that the people at Bed and Bone totally love her, will take good care of her. She's always happy when she gets home and is tired out from all of the great play. Thank you!!! Gus passed in September 2013. He loved his visits at Bed and Bone Too. Gus was so excited to see Madre at the door. Dan and I miss our Gus, but he was old. Gus died at home, Dan slept next to him all night. Gus is in heaven with all of his doggie friends. As I get older, I'm not sure why, I have a harder and harder time leaving JuneBug when I go out of town. B and B, Too is her home away from home. She gets out of the car and runs as fast as possible to get into B and Bone, Too's front door. Everyone there knows her and are so excited to see her. When I drive out the drive I have no qualms about leaving. I know she is in good hands, almost like beilisang at home! Brielle loves going to Bed and Bone! She is a tea cup yorkie, and we worried about leaving her because she is so small. But she has been to B&B several times and they do a great job keeping her safe and happy! She comes home tired but never stressed or upset. We will be bringing her there every time we need to have outside care for her - thanks!!! We love Bed and Bone. Our first dog Gabriel starting going there and after he passed away. 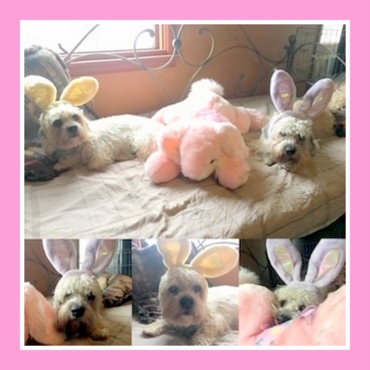 Our girls Paige and Abbey just love it there. They come back exhausted and have rest for about a day or so. We know they are well taken care of. And I am very picky about where my girls stay. We love bedandbone!!! Our dogs get so excited when they know they are going there!!! Thank you for taking such great care of our 'kids'!! Quinny LOVES Bed & Bone. We don't like leaving him behind, but when we have to, Bed & Bone is the only place we'll take him. He loves it there. So dog friendly, so thoughtful, so fun! You have an amazing set up and it's nice to NOT WORRY and just know that he's having a good time. We left our Golden/Chessie mix for 5 days at BnB; we picked him up on Sunday afternoon and while he seemed happy to see us, I could tell something else was going on; he seemed sad to leave as well! It's Tuesday now and he's STILL tuckered out! We are seriously considering bringing him out one Saturday a month just so he can have some friends to play with! Thank you everyone! P.S. We promise he won't try to take a swim in the river again! My name is Brittany. I have worked at Bed and Bone for two years now. I could not imagine a better place to work. The dogs that come and stay are wonderful. All lovable and fantastic. My own two dogs love to come to work with me and play with the others. The owner is an amazing person who has done such a good job with the buisness. The location is perfect for such a facility. All of the employees love the animals that come and stay. The workers and dogs are all like one big family. I love Bed and Bone. It has been a few years since we have had the pleasure of visiting you - since our Great Dane Kayla passed away a few years ago. You were a lifesaver for us when Kayla was a puppy - our daily drop off/pick up routine allowed us to keep her as our pet when we had no other options for her during the day. As she grew into an adult dog, our need for your daily services lessened, but we were thrilled to still be able to bring Kayla to stay with you while we were on vacation. She loved coming to visit you and was always so very well cared for. Thank you for everything you did to help us care for Kayla! We have recommended you time and again, and should we ever get another dog, we'll be right back on your doorstep! 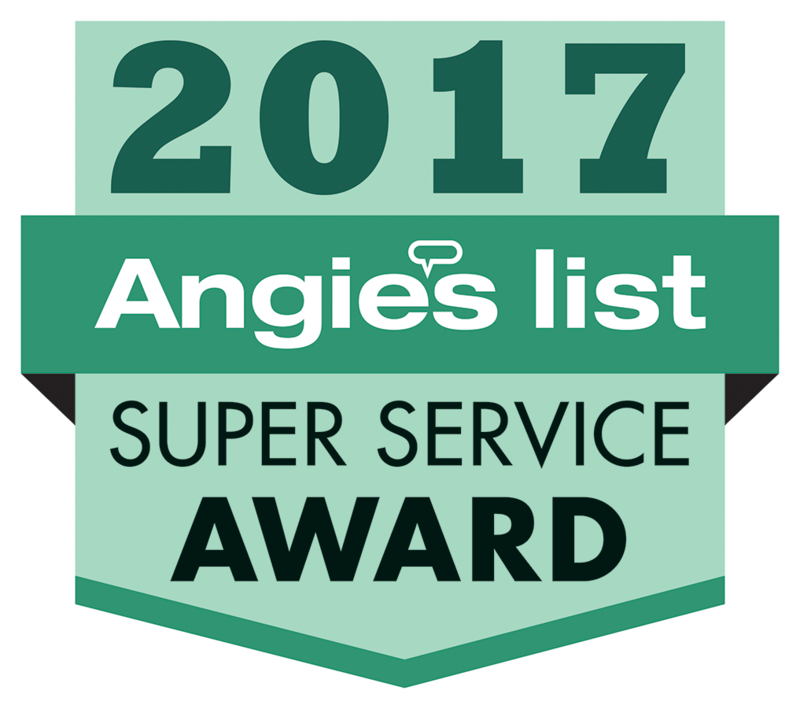 Bed & Bone Too has earned the home service industry’s coveted Angie’s List Super Service Award, reflecting an exemplary year of customer service to members of the local services marketplace and consumer review site in 2016. Bed & Bone Too would like to thank the many wonderful customers that have taken the time to write a review. We enjoy our time with the dogs and are so thrilled when they return home with happy tales and tails.